Iyanya has insisted he is not jealous of Tekno's success. 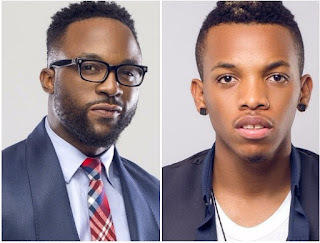 It would be recalled that Iyanya and Tekno used to be label mates before the former moved to Mavin records. "I am so happy for Tekno and his success and I am not surprised." - Iyanya said in an interview with Saturday Beats. "At a point, we were all togetherl and this is a young guy that works very hard. He worked every night and when we woke up in the morning, he would still be working. "So, I am not surprised that he has finally made it. I believe this is just the beginning and there are many more things to come his way. When he came to Triple MG, he sprayed his hair gold and anytime I wanted to call him, I referred to him as golden boy. "I am very happy he is doing great things. How would I be envious of somebody that Ubi Franklin and I raised from our platform? "We used our platform to promote him and I cannot be envious of him; there is no need for that. People would always try to say negative things but we are very fine."